Computer Task Group’s first-quarter profits fell by 22 percent, as hospitals postponed projects. Computer Task Group’s expanding health care services business hit a speed bump during the first quarter, causing the Buffalo information technology company’s profits to drop by 22 percent. 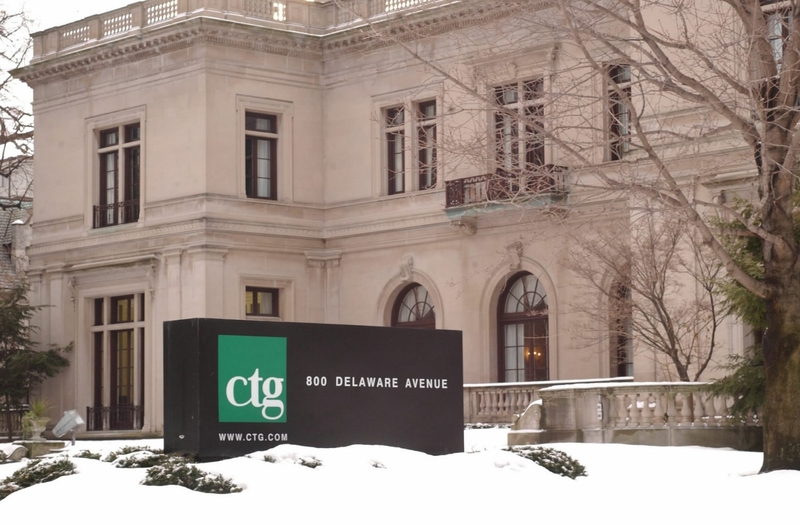 CTG executives blamed the earnings decline partly on weakness in its health care technology services business, as hospitals delayed costly projects to implement electronic medical records systems and other technology-based upgrades while they grapple with cuts in Medicare reimbursements, which took effect a year ago, and decreases in patient volume. James R. Boldt, CTG’s chairman and CEO, said the company’s health care business, which has grown rapidly in recent years, is in “a period of transition” as its hospital and other health care clients deal with a lowered cost structure. As a result, the company lowered its profit and sales forecast for all of 2014. But Boldt also said he sees the slowdown as temporary. “Given the work that remains to be done, we remain optimistic about our electronic medical records business in the long term,” he said during a conference call Tuesday. CTG’s profits fell to $3.2 million, or 19 cents per share, from $4.1 million, or 24 cents per share, a year earlier, matching analyst forecasts. Its revenues slumped by 10 percent, to $97.9 million, from $108.5 million a year ago, slightly lower than the $99 million that both CTG executives and analysts were expecting. The company also reduced its guidance for both the second quarter and all of 2014. CTG said it now expects earnings for this year to slip by 5 percent, to about 87 cents per share, less than the 93 cents per share that analysts expected. During the second quarter, the company said, it expects to earn 22 cents per share, down by 8 percent from a year ago and a penny less than analysts forecast. CTG said its revenues for this year are expected to drop by 5 percent, to about $400 million, which is less than the $412 million that analysts were forecasting. During the second quarter, sales are expected to dip by 5 percent, to about $102 million, compared with the $103 million that analysts were expecting. The company said that its solutions revenues during the first quarter dropped by 10 percent, to $39 million. Its staffing revenues also fell by 10 percent, to $59 million. Some of the weakness that CTG executives expect in the company’s health care business this year stemmed from a decision late last month by the federal government to delay by a year a requirement that hospitals and doctors switch to a new, more specific coding system for bills. With the deadline for adopting the new codes now delayed until October 2015, many of CTG’s clients decided to put off implementation of the new system, often on short notice. “We didn’t see this one coming, frankly,” said Boldt, who noted that the delay caused CTG to reduce its forecast for health care revenues by 5 percent this year.